Monevo is completely free to use, we will never charge you a fee for our service. Instead, Monevo receives compensation from the lender you select, if you finish the loan process and the loan is disbursed to you. 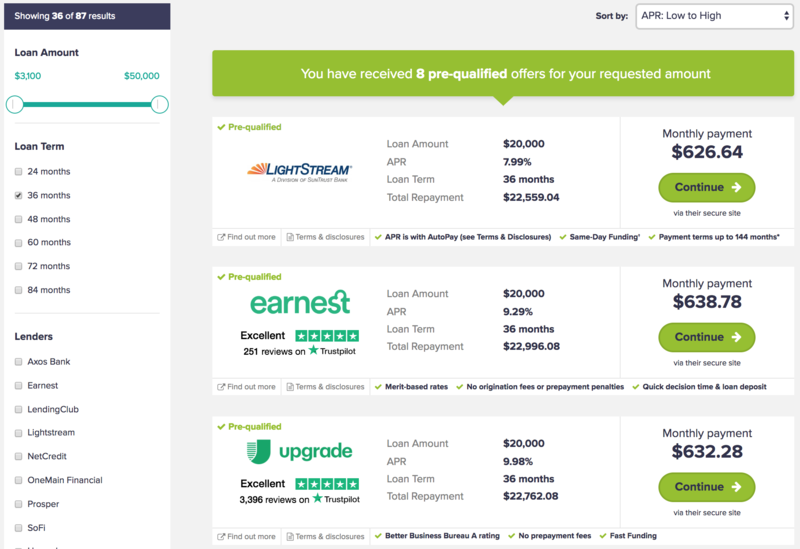 Monevo cannot guarantee that all lenders or all types of loan offers in the marketplace will be available at the time you are using our service. The underwriting criteria necessary for approval is determined by the lenders (not Monevo) and it is imperative that you review each lender’s terms and conditions before proceeding with an application for a loan. You must determine which loan works for you and your personal financial situation. All rates, fees, and terms are presented without guarantee and are subject to change pursuant to each provider’s discretion.